Parents, pay attention! The following are 15 tell-tale signs that it’s time to fire your OB, midwife, or other care provider. If you experience 2-3 of the following signs, never mind a solid majority, it’s time to fire your OB or midwife and find a better suited care provider. No matter what type of birth is planned (hospital birth, water birth, cesarean birth, etc.) it’s crucial to have a solid birth team. Every woman, partner, and baby deserves high quality, competent, and compassionate care. We are worth it! Many women that switched care providers during pregnancy, or wish they had, report having a “gut feeling” that something just wasn’t right. Some of us, however, don’t have enough experience with hearing, listening to, and acknowledging what our inner knowing is telling us. For some it can be a bit trickier to have an accurate awareness of the situation. If you find yourself thinking about something that happened at a prenatal appointment that didn’t feel good or sit right in your gut, pay attention. If you find yourself making excuses and dismissing your feelings, pay attention. Excuses may be covering up the obvious – it’s time to fire your OB or midwife. Journal about what’s happening, talk it out with 2-3 trusted safe people, sit with it for awhile, and see what comes up. There’s no need to make any rash decisions, but there’s also no need for indecision. You can do this! 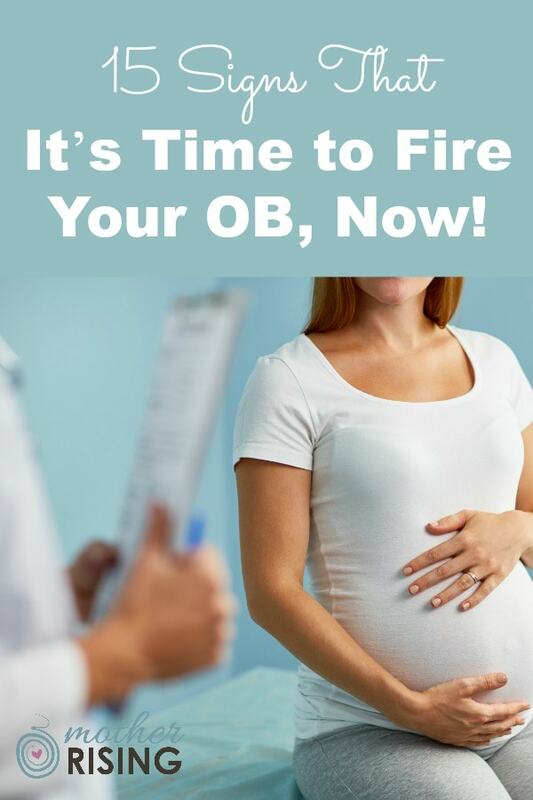 Another warning sign that it may be time to fire your OB or midwife is when routine prenatal appointments are rushed. Rushed appointments severely limit personal interaction with the person or people that will be at your birth. In many OB offices, women tend to spend lots of time in waiting rooms and with nurses, but with no-one that will influence her birth in any way. What a disservice! Prenatal appointments should be a time to develop a relationship with care providers, get questions answered, learn new things, and of course, monitor the health and wellbeing of mom and baby. If you are feeling like “just a number” or that they’re just “checking off the boxes”, it may be time to fire your OB or midwife. Another red flag that many women experience is that their desires and concerns are dismissed and/or belittled. Even when this situation is difficult to pinpoint, and it often is, doesn’t mean it’s not happening or a concern. To give some clarity, here are a few examples of an OB dismissing or belittling a woman’s concerns and desires. Woman: I want to hire a doula for my birth. What are your thoughts about that? OB: Oh you don’t need to do that, I’ll hold your hand through the whole thing. Woman: I am afraid of tearing during birth. Could we use warm compresses when baby is crowning? OB: I’ve been doing this for years. I’ll take care of you. You can trust me. Woman: I really want to have a natural childbirth, but I’m feeling really nervous about the pain of labor. OB: Why would you want to be in pain when you don’t have to? There’s no shame in getting an epidural. You don’t need to be a hero. Woman: I read about the difference between delayed cord clamping and umbilical cord stripping after baby is born. Is umbilical cord stripping something you do routinely? OB: Oh, did you read that on the internet? Just because you read it on the internet doesn’t mean it’s true. Another disconcerting behavior that may indicate it’s time to fire your OB or midwife, is that your care provider makes minimal eye contact during prenatal visits. This behavior is typically coupled with rushed office visits, and a sign of a lack of desire to foster a relationship with patients. Sure, sometimes, just like all of us, care providers have their off days. But if minimal eye contact is the rule and not the exception, this is completely unacceptable. If a care provider does not have the time or energy to cultivate a healthy relationship with a pregnant woman, perhaps they’re in the wrong line of work. Another sign that it’s time to fire your OB or midwife is when conversation is directed mainly at a woman’s partner, and not the pregnant lady herself. Generally speaking, I think it’s wonderful when partners are included in the entire process, but it’s quite another thing when a woman is ignored, overlooked, or completely left out. Sure, maybe there are situations when speaking to a support person a little more than usual makes sense (teen pregnancies, language barriers, etc.). However, leaving the pregnant woman out of the conversation speaks volumes. This behavior may feel patriarchal, dismissive, and belittling. If your care provider mainly speaks to your partner and not you, it may be time to fire your OB or midwife. “I knew it was time to find a new care provider when the nurse asked my husband to sign the circumcision consent form while I was out of the room.” Logan B. Another red flag to watch out for is when care providers operate and communicate in fear. This often presents itself in the context of discussing options and making decisions for pregnancy and birth. Instead of using plain, non-emotional language to discuss the pros and cons of a particular choice, a care provider uses fear to manipulate parents to make certain decisions. OB: You’re 41 weeks. I would like to schedule your induction for tomorrow morning. Woman: I really don’t want to have an induction. I want to go into labor naturally. OB: As your baby gets closer to 42 weeks the chances of stillbirth increase. Is that something you’re comfortable with? Do you want your baby to die? Woman: I would prefer to have intermittent monitoring during my labor, assuming everyone is safe and healthy. OB: My policy is to have women on the monitors during their entire labor. I once had a woman take herself off the monitors and spent too much time in the bathroom. Her baby died and we didn’t realize what happened until it was too late. In the OB’s defense, who knows, maybe they did experience a recent tragedy that is haunting them. The weight and responsibility care provider’s have on their shoulders is incredible. However, despite what happened last week at the hospital, it’s important for all care providers to facilitate evidence based decision making without fear tactics or manipulation. When it comes to obstetrics, there’s a strange phenomenon I’ve noticed, which apparently has been happening for years. Many obstetricians do not stay up to date with and/or follow best practices, but operate out of convenience, what was taught in medical school, and/or “what we’ve always done”. It’s the strangest thing. Couple that phenomenon with the ego that accompanies many physicians, and what you get is a recipe for disaster. If your care provider is faced with facts backed by evidence, but refuses to operate differently, it is likely time to fire your OB. There’s this OB in my community and I really like her. However, years ago, moments after my client gave birth, I witnessed her arguing about how delayed cord clamping had no real benefit and “the blood was going back and forth anyways”. I think my client’s baby experienced delayed cord clamping, but it was discouraging that she had to push for it at a moment where mama/baby bonding should have taken precedent. The thing is, years later there was a big push for delayed cord clamping, especially from the AAP. In response to this shift, this particular OB adjusted, changed how she operated, and now facilitates delayed cord clamping with her patients. What this told me was that she had the vulnerability to recognize an area of improvement, and the courage to change how she practices. 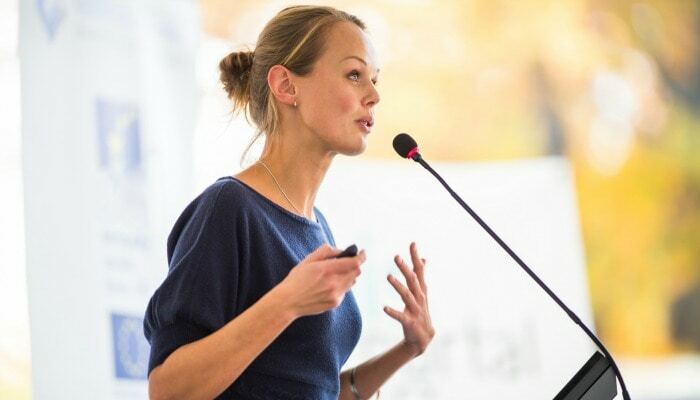 When looking for an OB, find someone of high character that stays current with best practices, but also vulnerable and courageous with a willingness to try new things. Informed consent happens when a care provider communicates with a patient regarding a medical procedure, intervention, or condition in a manor that leaves the patient fully comprehending to what they are saying yes or no. I don’t know if the medical model of care just doesn’t value informed consent or that care providers think certain information is beyond a woman’s ability to grasp, but informed consent happens inconsistently at best. However, research has shown that the more a woman is part of the decision-making process during birth, she will be happier about the outcome, no matter what happens. Communicating with care providers is a two way street and sometimes both parties lack the skills to come to the desired outcome. Hop on over to this post to learn how to ask your care provider questions to get good information in order to make the best decisions. 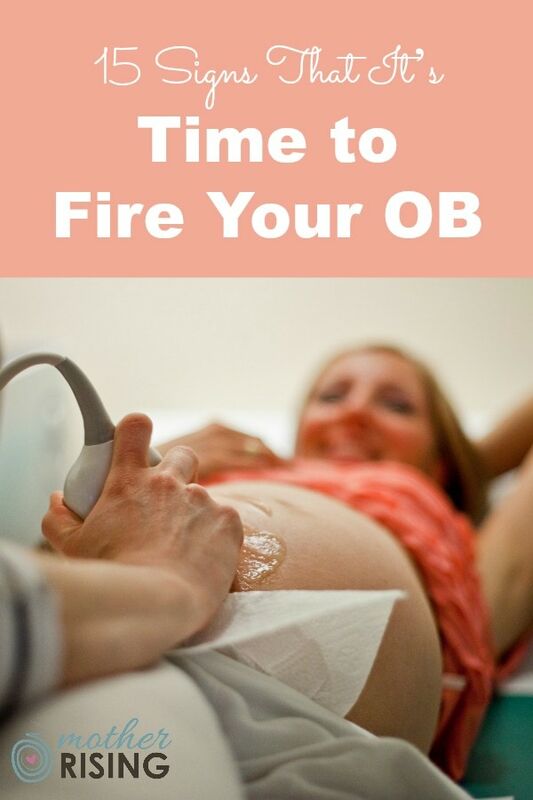 “It’s time to fire your OB when they don’t ask permission to touch you before doing so. A woman in my birth group actually argued that showing up to an appointment was consenting to a vaginal exam and there was no reason to ask.” Heather H.
After a woman has a first cesarean, she is often told that for subsequent births she’ll need to deliver by cesarean as well. For many women, this statement is simply not true. However, what typically happens is that without questioning anything, she’ll goes back to the same OB, and agree to a repeat cesarean. For whatever reason, some OBs or midwives do not attend vaginal births after cesareans (VBACs). In an attempt to keep their clientele, I’ve heard of some care providers sharing with patients that VBAC is dangerous and that “there aren’t any OBs that do VBACs around here”. Others that dig a little deeper often come to the conclusion that a VBAC is a reasonable and safe option for most women. They’ll also conclude that it’s a deal breaker if an OB doesn’t attend VBACs. Did you know that a suspected big baby in and of itself is not cause enough to schedule a cesarean? 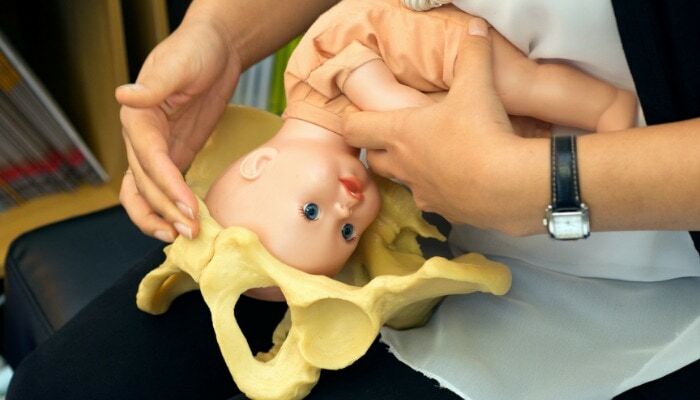 If your care provider is concerned about a suspected big baby (or too small of a pelvis) and wants to schedule an induction or cesarean, it’s time to for further discussion or to move on. “It’s time to fire your OB when before labor they say baby is probably too big to deliver naturally. Even worse is when it’s your third and your other 2 were almost 10 lbs and delivered without complications. This happened to a close friend of mine and they gave her a c-section. Baby turned out to be smaller and had a smaller head than her other son.” Jacquelyn S.
Inductions are very convenient for birth attendants. Believe me, they are for me too! As a doula, it’s definitely helpful when attending an induction because it’s easier to plan ahead, schedule childcare, etc. Being on call is HARD! However, the convenience of care providers and other birth attendants should not be valued as high as the health and well-being of a mother and her unborn baby. You see, medically unnecessary inductions increase their risk for no good reason. If your care provider repeatedly brings up induction, especially in the second and early to mid-third trimesters, they may be grooming you for an induction come 39 weeks. This is a pretty messed up scenario, in my opinion, because the 39+ week pregnant lady is D.O.N.E. and prone to agree to whatever makes her misery come to an end. It’s best to hire a care provider that agrees that labor progresses best with hands off, watchful care (for healthy moms and babies, of course). Birth plans are an excellent tool for expectant parents. Many care providers do not like or encourage parents to make birth plans. I think one of the big reasons for this is that sometimes parents pigeon hole themselves into a very narrow view of how their birth should unfold and don’t make room for the unexpected. However, I think a better response is for care providers to see this as an opportunity for patient education and communication. On the other hand, another reason care providers do not like birth plans is because some OBs are unsupportive of their patients requesting preferences that diverge from “the way things are done around here“. If this is the case, pay attention. If your care provider is unsupportive and inflexible in regards to your birth choices and plans, it may be time to fire your OB or midwife. Imagine you’re pregnant and at a prenatal appointment with your care provider. You really like this person! However, after sharing your intentions of hiring a doula, they say a doula is unnecessary and not to hire one. What would you do? Using this tool, parents may ask their care providers the following questions. Knowing who I am and what I’m hoping for at the birth, how would not hiring a doula be helpful for us? How would we be at a disadvantage by not hiring a doula? What would you recommend us to do instead of hiring a doula? After gathering information, do a little soul searching and gut checking to see where you stand. If you still want to hire a doula, but your OB disagrees, it may be time to find someone new. Honesty and transparency are critical in any relationship, and the doctor/patient relationship is no exception. Parents need to trust their care providers with big things like their lives and well-being. Trust should be earned. One way to develop trust between parents and their care providers is to answer questions honestly and with transparency. When that can’t happen, parents have every reason to be concerned. If you ask your OB about their cesarean or induction rates and they skirt around the issue, that’s a red flag. If you ask them how they would handle a patient going past their due date, and they refuse to discuss the issue, that’s another red flag. When a care provider is not forthcoming, it may be time to move on. There’s an OB practice in my community that has an unfavorable reputation among childbirth educators and doulas. One of the reasons for this is because of their bait-and-switch tactics. Over and over again, women go to their practice in the first trimester and have conversations that go a little something like this. Woman: I want to have a natural childbirth. How do you feel about that? OB: I’m totally supportive of natural childbirth! You can do whatever you want. No problem! The thing is, once these women get to 39-40 weeks everything changes. All of the sudden the belief that a woman is capable of birthing her child without medical intervention flies out the window. Ultrasounds, inductions, and cesareans are scheduled, and new mothers are left feeling traumatized, among other things. I know how this practice operates, but most women don’t find out until it’s too late. So, what’s a woman to do? A little reconnaissance, perhaps? Keep reading to find out more. After reading this article you likely came to one of two conclusions – your care provider needs to stay or go. If you find yourself needing a new care provider, don’t worry, it’s not too late. “I switched a week before the birth of my first kiddo. There’s no such thing as “too late to switch”. Being embarrassed of “switching too late” isn’t as bad as going into something as important as birth with someone you don’t trust.” Lois A.
Here’s a good story about how one woman made the switch from one care provider to another, but also birthing venue as well. A good way to find a new care provider is to ask a variety of women who they chose, but also why they liked them. Pay attention, however, because what is important to one woman may not be important to you. TIP: A good way to find women to talk to, quickly, is in local Facebook groups. TIP: If you’re looking for a new care provider pay extra attention to who the doulas in your community are using. Ask them why they got picked, and what they ended up liking and disliking about their OB. I imagine a conversation like that would be very telling. To recap, use these 15 signs to know when it’s time to fire your OB or midwife and find someone new. What about you? 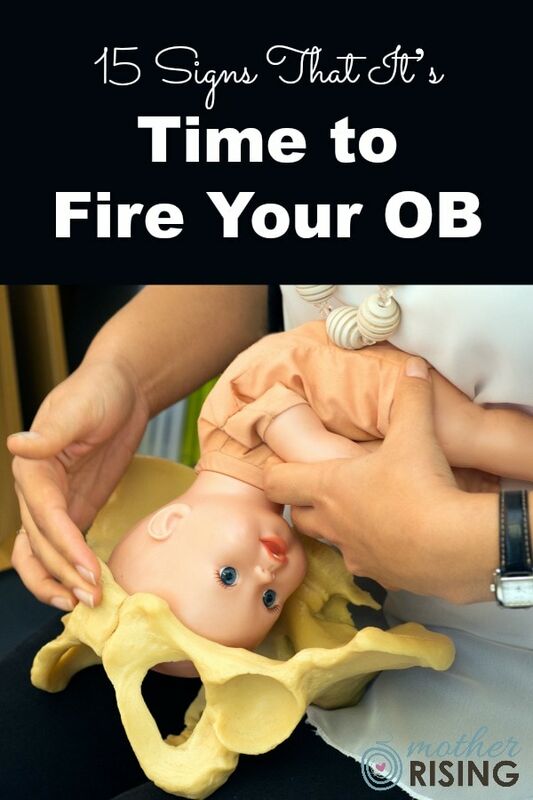 How did you know when it was time to fire your OB or midwife? Leave a comment and share your story. I’d love to hear from you! These are correct if the mother does her research. Doing your research is so important and not just saying you want something done or not done no matter what. I know a mom who wanted her birth to happen exactly the way she wanted it, but she was pushing for 5 hours. And her baby was stuck and in distress. The OBs and nurses kept insisting that she gets a c-section because her baby was in distress. She refused, and her baby came out unresponsive for 7 minutes. And now the baby is 3 months old and can’t lift up their own head. She didn’t do her research. She did whatever is “popular” and didn’t wanna be seen as weak, which now has caused her baby to have brain issues. About the “baby is to big” talk – the opposite is also an issue. My friend was worried her entire pregnancy that the baby would be to big (her mother had that issue with all 5 children) but the OB just said it wouldn’t be a problem and that they wouldn’t need a cesarean. Thankfully the mother managed the delivery without much damage but she has since decided not to have any more children. I feel like a part of this is because of the traumatizing first experience. I get pregnant for first time at 37 years old, all was going in the right way until I start to loose hair, has so much dark spots around my neck and a full face acne…really looks awful. I talk to my mid wife 3 times to ge t the progesterone lab in order to know that something is happen to me. It’s hormonal, don’t be afraid! She said…. I switch and in the other place the midwife tell me the same thing, it’s ok! It’s me! At my fourth mont I broke eaters because progesterone level was so low…. I lost my baby girl because both of them. That so sad, my baby was supposed lo born at October 22. I prefer Ob, hate midwife hippie style pregnant care! 1) very first appt at 8 weeks. I went in, told them I thought I was about 8 weeks along which meant I had gotten pregnant around Valentine’s Day. The woman didn’t even look up from my chart and said “when was your last period?” I told her January, but I have PCOS, my periods are irregular at best and not a good indicator. I know I wasn’t pregnant in January. So, she writes 12 weeks on all of my charts, doesn’t acknowledge that I said anything, and bumbles me down to ultrasound talking about how they had to work me in because despite the first appt being scheduled, for some reason the ultrasound tech wasn’t. Go figure – the baby measured at 8 weeks. The woman didn’t even apologize to me, just changed it on the paperwork with a sigh commenting on how everything’s going to be messy on the chart now. Now, my husband and I were not physically in the same city for most of January – which is how I knew I didn’t get pregnant in January. 2) that same appt I was already upset over gain to argue about when I got pregnant and got ignored, as things were wrapping up my husband and I both said this is our first. We don’t have our parents or people who have gone through this already. What can we expect is normal during the first trimester? Is the car sick normal? And were told “if you start bleeding badly go to the Er” and shoved out the door. 3) a couple weeks later I get a call from a specialist clinic in downtown (probably a good 30-40 mins away from us) to schedule my appt. I had never heard of them, and asked what was going on. To be told that we were referred to them by my OB. I called the OB, who told me sending me to a specialist for extra ultrasounds (plus another $100 out of pocket for each appt) was standard for women with PCOS, due to miscarriage rates of PCOS women. This is after not even acknowledging that I had said I had PCOS. I was livid. So, I schedule with the specialist and we went a few times to them as well as to the regular OB another time. 4) when I did go back to the OB and flat out asked who they were scheduling me for a specialist after not talking to me about it, my husband and I both got looked at and told “we’ll its in her notes that she told you, maybe you don’t remember” to which my husband got mad at them because he was with me at all appts and knew how upset I was after having to say I have pcos and it being ignored. Now I felt like I was being called a liar. When I got into the room with the OB and flat out asked her, she told me a completely different story. That she had gone to her boss after and mentioned it, and her boss told her to schedule the specialist for me after the fact, that they didn’t have to call me about it. At this point I wanted a new OB. I was angry. I was done. I felt lied to. I felt like I didn’t matter and I had no earthly clue what was normal because – again – we don’t have older family to help us. But I felt guilty for wanting things different and kept getting told by other people or the internet that this was completely normal and I was just being a baby about it. 5) at the end of this all, I was around 15 weeks. I suddenly couldn’t lay down at night without a whole bunch of terrible, awful itching happening everywhere. So what did I do? I looked it up to see if that was normal. I know the doctors tell you not to do that – but I don’t exactly have a mom to call and say “how is this normal?” And it was 1 am. After reading online and not finding anything saying it was normal, the next day I called the OB. They had me come in right away for a blood draw to check everything out. I mentioned what I had found online and she goes “yeah, that happens. But don’t worry, I’m sure it’s not happening to you. Everything’s fine.” And just walks out the door. I call back 2 weeks later to ask about results- who hadn’t anyone called me? Is everything ok? Is my baby ok? And was promptly told they only call about results if there’s something wrong, not just to say that everything is fine. That was my final straw. I had been left to worry about my baby being hurt by my own liver for 2 weeks because no one bothered to tell me that they weren’t going to call me. I asked for all of my paperwork to be copied and released to me totake where I so pleased, and to cancel my next scheduled appt because I would not be coming back. Which also took a week for no particular reason. When I came back in to get my paperwork, the head nurse took me aside and asked me to justify why I was leaving the practice altogether and not just switching to their new midwife. It took me an hour to explain it so that she’d Let me leave. A week after that, I ended up in the ER due to an asymptomatic UTI that had turned into a very symptomatic kidney infection and was now in my bloodstream. I was doubled over with localized back pain and couldn’t stop vomiting in the second trimester. I knew something was wrong. But I didn’t have a new OB yet because everyone we called was not available for another month or so. After a week of not being able to walk or keep anything down, we went to ER. The nurses were amazing. They pinned the dehydration in a second, had me in fluid, took a ton of blood. The ER doctor came in and suggested that I was just not as far along as I thought and still had morning sickness. To which I started crying as soon as he left. He also suggested the back pain was just a pregnancy thing (even though I’d found nothing online about localized back pain around the kidney being a pregnancy thing) and generally treated me like a hysterical pregnant woman wanting attention until the nurse came back with the bloodwork and found this awful infection. The nurse had to advocate for me to stay there long enough to get 2 full IV bags of fluid because I was so dehudrated from constantly throwing up (I was throwing up sugar free jello, if that tells you anything) and they put me on heavy antibiotics to knock it our of my blood while still being safe for the baby. A month after that, I went to my current OB, told him everything, and he’s amazing. Appts are still rushed (5 minutes unless I request more time with the front desk when I’m scheduling) but he’s been wonderful. He looks me in the eye, talks to me, educates me on terms I don’t know (like the Rh shot since I’m A-) and answers all my questions. I got a well deserved lecture for not calling them at 3 am after having 5 hours of contractions and only mentioning it 2 days later at my appt. everything’s fine, he immediately did a cervical check and an ultrasound to make sure everything was good. I’m a 3 on the Bishops scale as of 34 weeks, but nothing to be concerned about. I’m so glad I switched. But I know it took being pushed really far and having to work through years of guilt and a lack of willingness to stand up for myself that I think the first OB was counting on. Thank you for sharing!! It’s so good to hear your story. It’s important to know that in some areas it’s not possible to change providers after 16 weeks. We found out our hospital had a 2 support people maximum, I tried to change to a hospital that would allow 3 and there was only one Doc in Manhattan (NY) that would take me for that hospital. And he had many many of the red flags in this list. I decided to stay with my doctor that is wonderful and just hope that my Doula is able to find a way to switch out to support me.